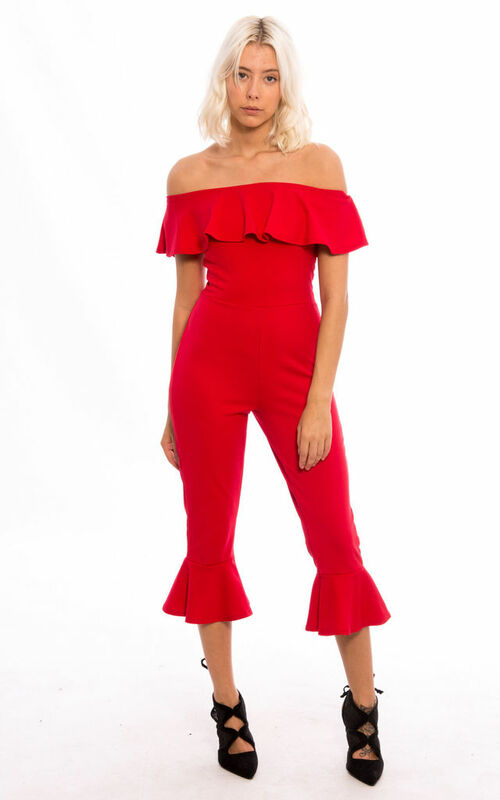 Try something new this season with our stunning frill hem jumpsuit. Featuring calf length fit with ruffle frill trim detailing, bardot off shoulder fit and made from a soft comfortable crepe material. This jumpsuit is the perfect way to create fun day time outfits.